Most people tend not to make a decision to move house last minute. Sure, there’s the odd occasion where people get offered incredible roles and need to start asap, or are given short notice evictions, however for the majority, making a move is typically planned over time, deliberated, considered, researched and decisions made well in advance of moving. Once you have made the decision to move, and ‘$hit gets real’ it’s important to prioritise what needs to get done and when. The biggest hurdle though, is usually packing; The extraneous task of sifting through your collection of belongings (unless of course you’ve successfully adapted the ‘Minimalist’ movement!) wondering what needs to go, what needs to stay and what happens to it all. You may feel you have plenty of time, but let us tell you, don’t procrastinate! The longer you leave it the more pressure you will be under and the more difficult it will become. Start off with setting the ideal moving date. Sounds really simple, but you must have a plan to work towards. This of course will be subject to things such as rental agreements, house sales and settlements, job requirements etc. The more flexible you are with your moving date, the more chances you have of saving money in finding a moving company that can find the best move for you. Begin purchasing necessary packing goods, such as strong packing boxes of all shapes and sizes, we recommend getting an assortment of each and then buying more as you go. Also purchase essential items such as: clean butchers paper (have you seen what newspaper does to white ceramic plates? ), permanent markers, strong packing tape (approximately 40-50mm wide), bubble wrap, for the extra fragile goods and to use to stuff boxes with, and clothes packing boxes with rods, specially designed to transport your hanged clothing without taking them off hangers. Sell off, donate or throw out as much of those household items as you can. Anything that’s aged, worn out, easily or cheaply replace should all go. Be brutal. 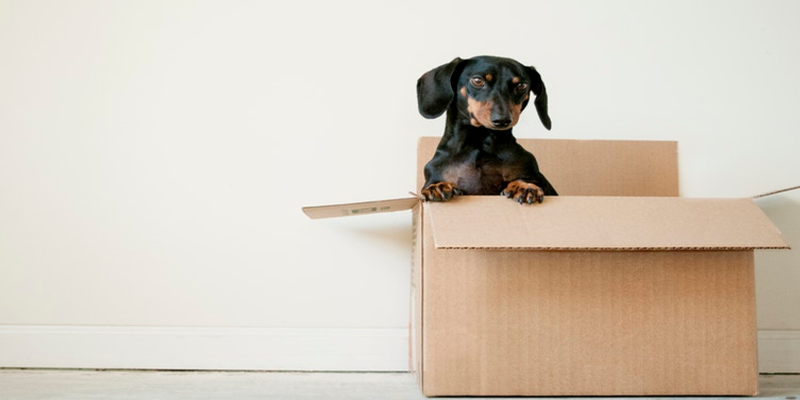 The less you have to send, the more you will save, plus, who doesn't like the idea of moving to a new home and being able to deck it out with some new items? If you aren’t moving directly into the next property, have you looked into storage options nearby? There are a number of storage solutions available, simply google “Storage Place” and Google will help find the nearest to your destination. This will need to be communicated with the Removalist company too. It may be ideal to hire a container which can be shipped and stored, as opposed to having to unload the truck into storage, then having to repack a truck to move into your destination property. Begin to disassemble everything you can that isn’t critical. Bed frames (it’s ok to sleep on a mattress on the floor for a few days! ), bookshelves, lampshades from floor lamps etc. Anything that can be reduced will help save you space. Start to pack the remainder of your clothes, keeping only enough for the move, or a couple of days overnight. If you are moving interstate, and taking your car with you, start to pack the key items that you will be taking with you that won’t need to be accessed until you arrive at the new location. If you have pets, now could be a good time to relocate them temporarily, organise a sitter or ensure you have the adequate transport device to move them also. Start cleaning. Even just doing bits such as inside closets, or rooms which have been cleared out, window frames, etc don’t leave the cleaning till the last minute! If possible, ensure things at your destination are ready to go. Has the new property been cleaned out? Do you have the keys? Is there anything that needs repairing before you move in? Relax. If you’ve prepared everything in advance like we have suggested you will be fine. Pack the essentials box (kettle, toaster, plates, cutlery, basic food, toiletries etc away in the car, or leave somewhere safe so that its the last item the removalist packs in the truck. Give your place the once over - check all closets, storage and hiding holes, garage, shed etc - make sure nothing is left behind. Ensure all windows and doors are locked once everything has been removed. Be sure to lock up behind you to prevent theft or unwanted guests into the property once you have left. Enjoy the excitement of your move, a new place, a new town, a new community, so many things to look forward to!